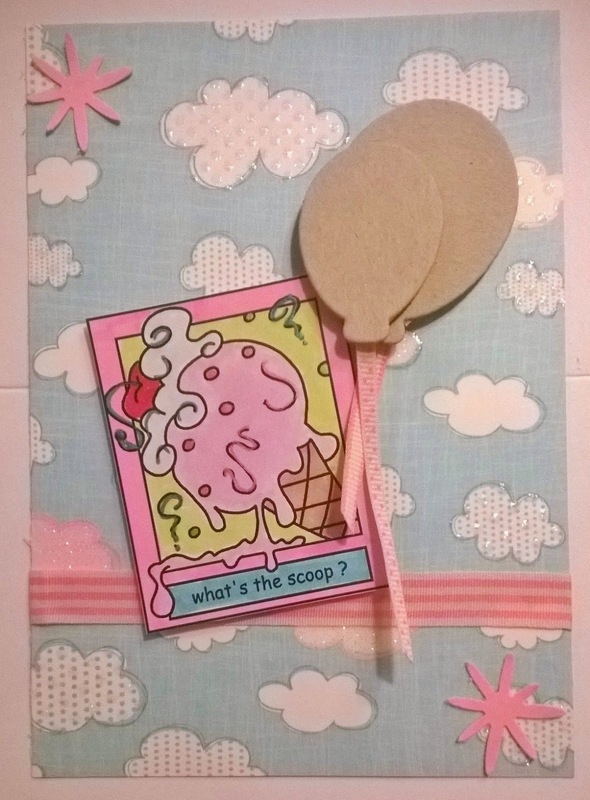 Cards by Jessi: What's the Scoop? Jag deltar i: Digi Sketch (Theme: Summer Fun + Sketch), Catch the Bug (Bingo: Bugaboo image - Kraft - Die cuts/punches), Open minded crafting (Last days of Summer), Fan-Tastic Tuesday (AG), Top Tip Tuesday (AG) och Simon Says Monday (AG). Perfect summery treat and image for the Last Day of Summer Challenge at Open-Minded Crafting. Thanks for joining us - good luck. What a perfect card. I love the balloons. Thank you for joining us at Open Minded Crafting Fun for our Last Days of Summer challenge. Thanks for joining us at Top Tip Tuesday. Wonderful!!! Great image! Love the colors you are using! This is fantastic!! Thanks so much for playing along with us at Open-Minded Crafting Fun Challenges!!! Good Luck! I hope we see you again!! Thanks for playing BUGABOO BINGO with us this week - your card is super cute! Please join us again soon. Good luck In the draw! Really cute summer card, thanks for joining us at Digi Sketch Challenge and I hope we see you again soon! Fab image and those chipboard balloons are great. Lovely summery card perfect for our challenge. Thanks for joining in our Open Minded Crafting Fun Challenge 17 - Last Days Of Summer and Good Luck!